This three drawer accent cabinet is a gorgeously designed storage and display piece made for virtually any room in your home. 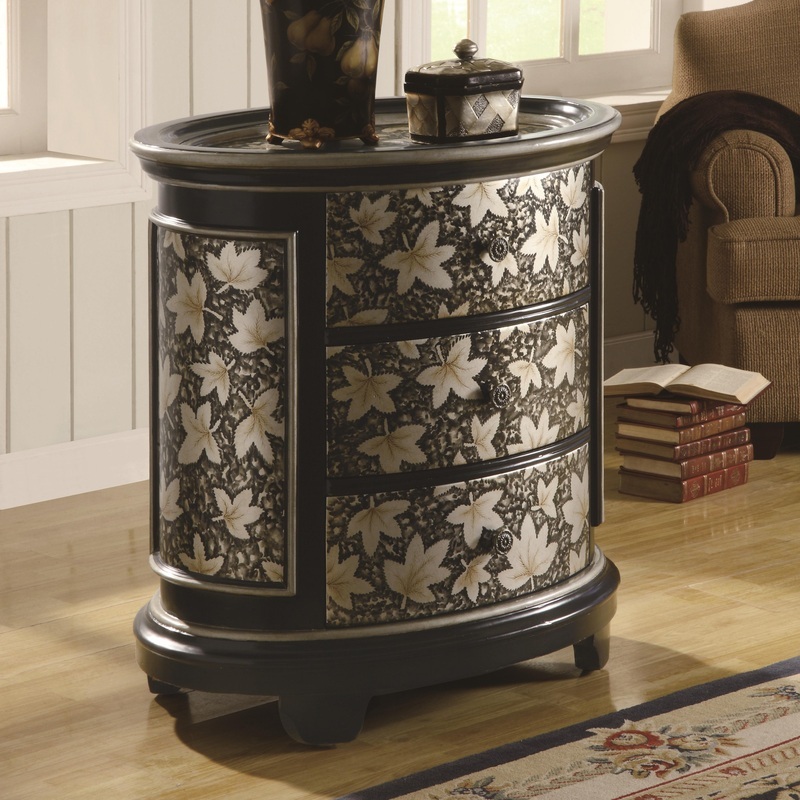 It features three sizable storage drawers with an unique patterned side and front. Finishing the side mantels and top is a matte black with silver and gold accented leaf pattern. Dividing each plane is a black decorative molding that gives it a classic, sophisticated feel. With so much personality and style, this chic oval-shaped accent cabinet is sure to make an attractive addition in your home.